The home was designed as a legacy for a father to leave for his son and his family. The house grows with the young family, and shrinks when the children leave. In order to maintain a house for a fifty year lifespan, we selected timeless and durable materials. 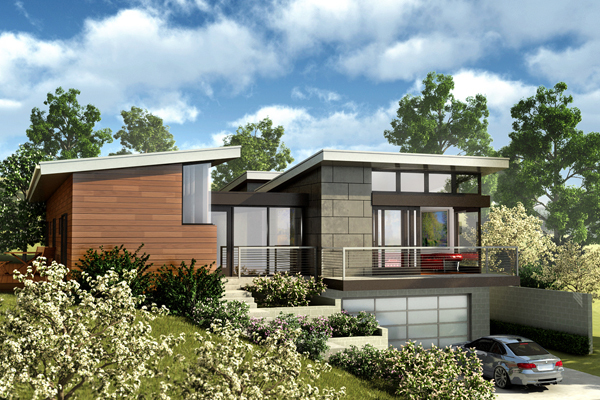 The framing is concrete block and mold-resistant wood with concrete paneling and copper siding cladding the exterior. The natural ventilation, day-lighting, and sustainable materials ensure the home will use less energy for many years to come.